Crude oil in the international market is showing growth. Rupees weakness and strength in the international market of crude oil in the domestic market has sprung. According to the American Petroleum Institute in the U.S., nearly 79 million barrels of crude oil reserves decline. So NYMAX crude oil rose 0.5 percent to 93.9 barrel has been exceeded. 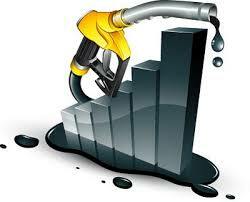 In the domestic market MCX Crude has grow up near to 29 Rs against the previous close. Currently Crude 19 June delivery 0.31 percent at Rs 53 29. According to our expert Crude may touch the levels of 5375. All traders can go on buying levels. Buy Crude oil with in June delivery current market price 5330 Targets 5345, 5360 Stop Loss 5300.
thanks for share with us this post......!!!!!! !